Hello everyone! 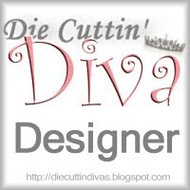 Welcome to my first official challenge as a member of the Die-Cuttin Divas! I'm excited to be part of this group of women that love to use their die-cuttin tools. This is our first official challenge of the New Year and we are doing it blog hop style. We are also celebrating the challenge blog's birthday. There are hidden prizes along the way so make sure you visit all the stops. You should have arrived here from Nikki's blog but if you didn't or you get lost along the way just go to the Die Cuttin Diva's Blog for the complete line-up. Along with the sketch you need to use either a birthday sentiment or a cupcake or both and make sure you include a die-cut somewhere on your card! For my die-cut I decided to use the <cupcake2> cut from the Cricut Celebrations cartridge. I used Liquid Pearls to create my cupcake sprinkles and the patterned papers are from the Stampin' Up! Ice Cream Parlor DSP collection. 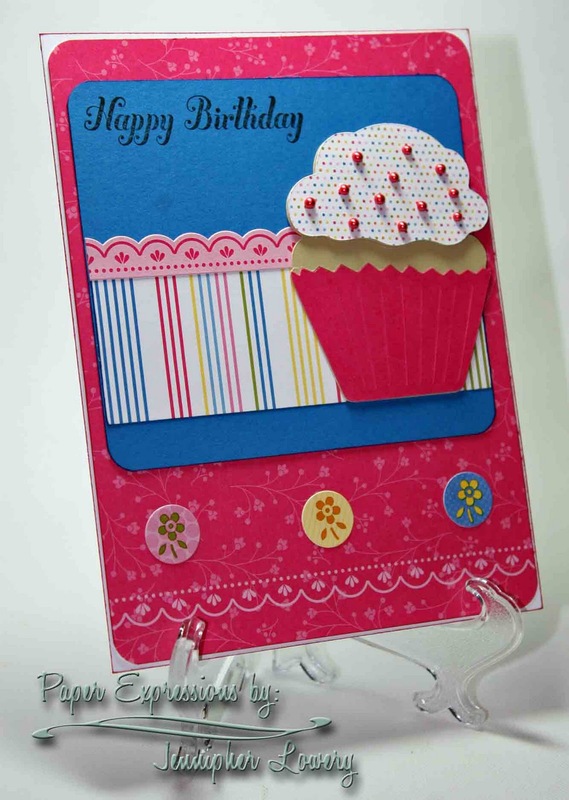 My happy birthday sentiment is also from Stampin' Up! Your next stop on the hop is Yvette's blog. So hop on along and see what exciting things she has planned for you. Thanks for stopping by my blog today. God Bless. I love your use of paper and colors. Beautiful! Such vivid colors, Jennipher! It looks really pretty enlarged (I was working on a laptop previously; my desktop is still out of commission). So happy to be a newbie with you on the DT!--Pat N.
Great card! Love the colors and the details on the cupcake. This is adorable!! I love that cupcake and the liquid pearls! Happy New Year! So cute! I love the sprinkles on your cupcake. Thanks for starting the year with a fun hop. Great card. Congrats on being a part of the DT! I love that SU paper, and the sprinkles look great! Love the colors and the sprinkles were such a nice touch! Wonderful card! Super Cute! Congrats on the DT! Thanks for playing along with us at Getting Cricky with K Andrew Simply Sunday Challenge! Adorable card! Love the bright colors! Oh my gosh! I love the card, especially the pearls on the cupcake. Glad to have you on the team. Great card! 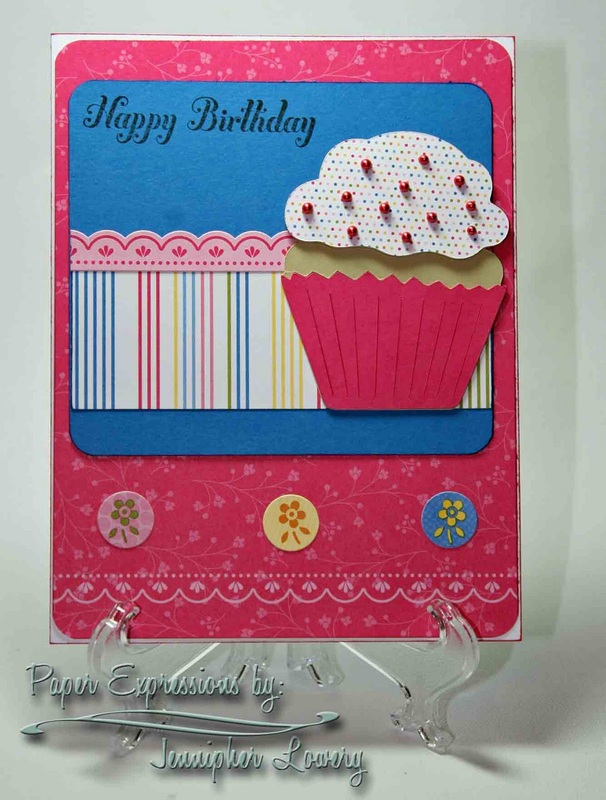 I love all the happy colors and of course, a cupcake makes the card all that more yummy! Enjoyed your card. Love the background. Very cute card, i love anything cupcakes!! Love the use of liquid pearls!! Thanks for joining us at the Simply Sunday Challenge!! P.S I am giving away a K Andrew Stamp set this week on my blog, please stop by to see how you could win!! This is a very cute card. Thanks for sharing it with us at the Getting Cricky Simply Sunday Challenge. Such a cute card. Love your cupcake "icing"
This is so adorable! I love the sprinkles on the cupcake! Thanks for joining us in the Getting Cricky Simply sunday Challenge. Sweet card. Love all the extra special Thanks for the inspriration. Especially likie the use of Liquid Pearls for cupcake sprinkle embellishing. Very cute card!!! I LOVE the colors that you used! That cupcake looks delicious!!! Great job! Thanks for playing along in the Getting Cricky Simply Sunday Challenge!! !